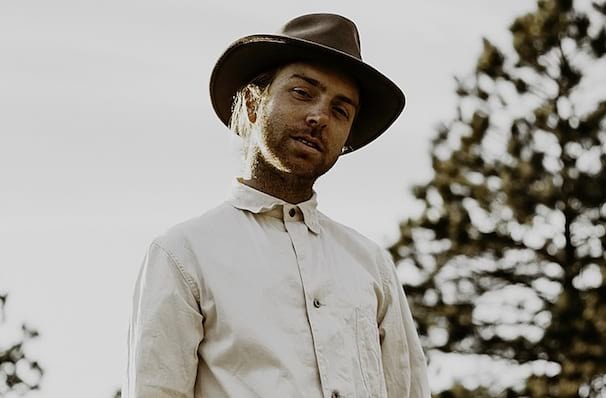 Infusing his laid-back, acoustic rock with reggae and Sanskrit chanting, Trevor Hall's music plugs into the deepest levels of his spiritual experiences. Introduced to yoga and meditation in his late teens, the South Carolina-born Hall treats his songs as a vital outlet for his journey through life. He's had his music featured in Shrek The Third and The Change-Up, and was named an Artist to Watch by MTV in 2010. Trevor's 2015 album, Kala (the Sanskrit word for 'time), was written in Hawaii and completes the trilogy of albums that began with 2014's Chapter of the Forest and his recent EP Unpack Your Memories. As Hall puts it: "This album mirrors my journey with time... my journey to surrender more deeply to it." He has since independently released his own album in 2017, titled The Fruitful Darkness, which includes tracks 'My Heart, Your Heart' and 'What I Know'. Make sure you don't miss him when he hits the road as he brings you an evening of new and old material. Sound good to you? 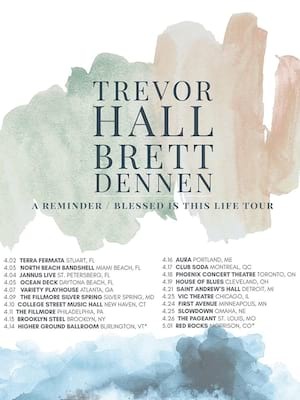 Share this page on social media and let your friends know about Trevor Hall at Boulder Theater. Please note: The term Boulder Theater and/or Trevor Hall as well as all associated graphics, logos, and/or other trademarks, tradenames or copyrights are the property of the Boulder Theater and/or Trevor Hall and are used herein for factual descriptive purposes only. We are in no way associated with or authorized by the Boulder Theater and/or Trevor Hall and neither that entity nor any of its affiliates have licensed or endorsed us to sell tickets, goods and or services in conjunction with their events.